An estimated 500,000 cats served in the trenches of the Great War. They’ve never been able to figure out exactly how many men died during the World War I. 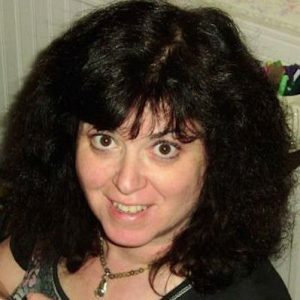 So it’s a safe bet that there’s no body count for the 4-footed and 2-winged creatures who gave their lives in the fight. The “animal veterans1,” as Leah Tams of the Smithsonian calls them, pulled artillery, transported soldiers, found men who were wounded on the battlefields and carried messages. And cats were there to see the action during World War I, too. In a war that saw men stuck in trenches and picking off rats with their bayonets, cats were a godsend. An estimated 500,000 cats served in World War I. “In the trenches of the Western front there were serious problems with rats,” says Ben Mercer of Ancestry.com3. “As you can imagine, wherever you have food, and unfortunately decaying bodies, there were rats and it was the cat’s job to keep them at bay,” he says. 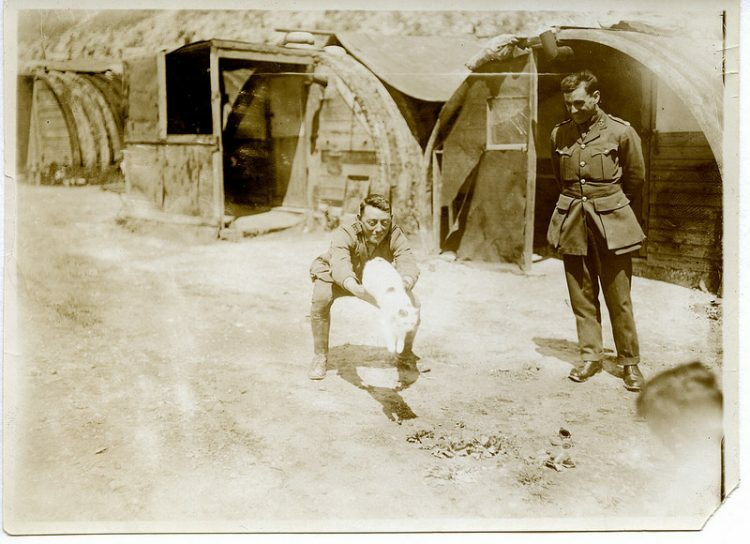 Aside from doing rodent patrol, WWI cats also detected gas. This was, after all, the first war that saw the large-scale use of chemical warfare. The Brits “drafted” 500 felines for this particular duty — which was a canary-in-a-coal-mine mission because cats succumbed much more quickly to the fumes than humans did. 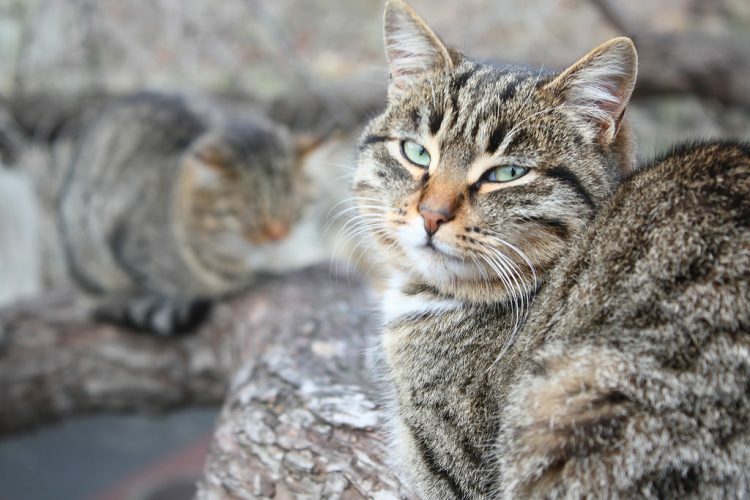 One cat saved a soldier’s life in a more dramatic fashion. Pitouchi had been born in the trenches. His mother had been killed when he was a kitten, and he’d been adopted by a Belgian soldier, Lt. Lekeux. Lekeux was hiding in a shell hole, sketching the enemy’s artillery works. A German soldier on patrol spotted him and called out to his comrades. The Germans, figuring they’d made a mistake, laughed it off and went on their way. Lekeux returned to camp with the vital drawings completed and Pitouchi on his shoulder. Even more cats did their tours of duty on ships during World War I. “Without the presence of cats, a crew might find their ship overrun with rats and mice that would eat into the provisions, chew through ropes and spread disease,” points out the U.S. Naval Institute4. “The more superstitious sailors believed that cats protected them by bringing good luck,” the institute notes. 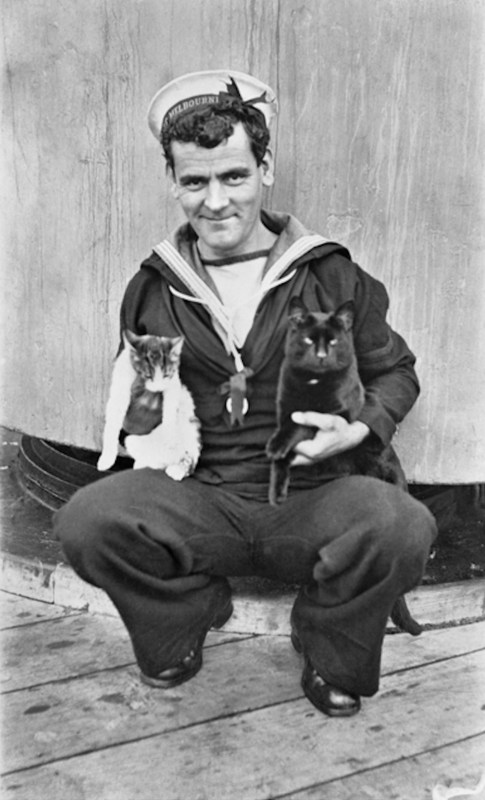 A sailor on board the HMAS Melbourne clutches a pair of cats, 1917. A 1915 British intelligence report mentions 2 cats and a dog who had been frequently been seen moving back and forth along enemy lines5. Paranoia was running high, and officers began wondering if German troops were using the animals to relay messages. Nobody knows what the upshot was — but with any luck, the trio escaped the traps being set for them. Felix the cat wasn’t so lucky. During the famous Christmas Truce of 1914, Felix went back and forth between Allied and German troops, carrying friendly messages tucked in his collar. A French general decided not to take chances and had the cat shot for treason. Like all stories, the story of cats during World War I is a mixed one. But those old photographs stay with us. 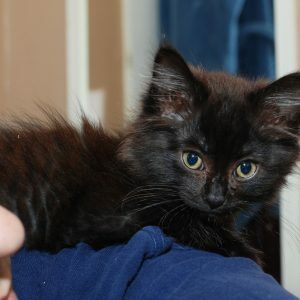 They remind us of how during one of history’s darkest times, cats provided soldiers and sailors with comfort and aid. Tams, Leah. “How Did Animals (Even Slugs) Serve in World War I?” Smithsonian. Nov. 14, 2014. http://americanhistory.si.edu/blog/how-did-animals-even-slugs-serve-world-war-i. Strauss, Mark. “These Are the Brave and Fluffy Cats Who Served in World War I.” io9. Aug. 22, 2014. https://io9.gizmodo.com/a-gallery-of-cats-who-served-in-world-war-i-1624713212. Grant Geary, Belinda. “Remarkable Pictures Reveal the Brave Animals Our Diggers Enlisted to Use in the Trenches During WWI.” Daily Mail. March 29, 2015. https://www.dailymail.co.uk/news/article-3017382/From-horses-carrier-pigeons-cats-kangaroos-glow-worms-Remarkable-pictures-reveal-brave-animals-Diggers-enlisted-use-trenches-WWI.html. U.S. Naval Institute. “Cats in the Sea Services.” Naval History Blog. April 13, 2018. https://www.navalhistory.org/2018/04/13/cats-in-the-sea-services. Saul, Heather. “Cats and Dog Suspected of Spying on WWI Trenches by British Intelligence Officers.” Independent. March 13, 2014. https://www.independent.co.uk/news/uk/home-news/cats-and-dog-suspected-of-spying-on-wwi-trenches-by-british-intelligence-officers-9189474.html. Williams, Heathcote. “The Cat Who was Shot for Treason.” Dec. 1, 2013. http://www.stopwar.org.uk/multimedia/poetry-spoken-word/111-the-cat-who-was-shot-for-treason.